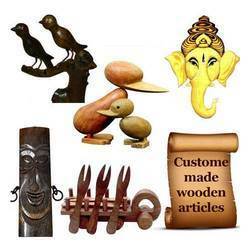 Exporter of a wide range of products which include custom hand painted easter eggs - wooden nesting eggs, wooden tweety bird - amazing intarsia - decorative wall hang, wooden artifacts - custom made custom designs, handcarved walnut wood customized plaque, wooden home decor artifacts - wood carving fishes and carved wooden ganesha - wooden sculpture of ganesha. 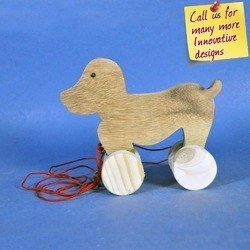 Owing to our rich industry experience in this domain, we are able to offer our clients Custom Hand Painted Easter Eggs - Wooden Easter Eggs. 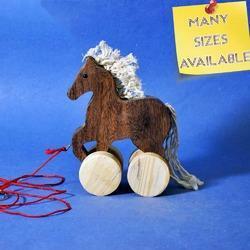 The provided easter eggs are checked before delivering to customers in order to ensure its flawlessness. 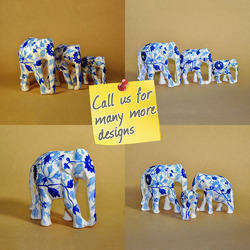 These easter eggs are designed by our craftsmen with top class wood & painting colors. 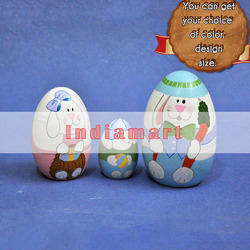 Provided easter eggs are available from us in customized options as per the market preferences. 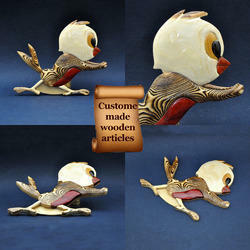 Our skilled team of professionals is actively engaged in offering a comprehensive array of Wooden Bird - Amazing Intarsia. 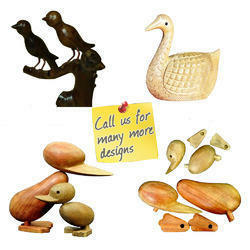 These wooden birds are acclaimed in the market for their excellent finish & quality. 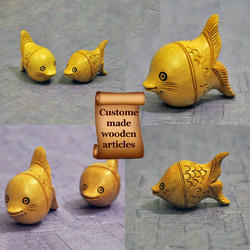 We design these wooden birds from top grade wooden material by employing latest techniques. 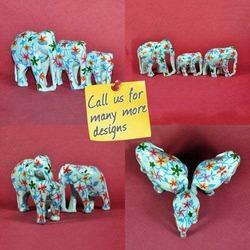 Our offered wooden birds are available from us in quality packaging for providing defect free range in a given time. 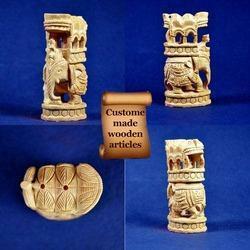 Our organization has gained immense recognition for offering a qualitative assortment of Wooden Artifacts. 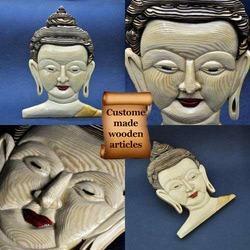 Our offered wooden artifact is design using premium quality wooden material keeping in mind the market trends. 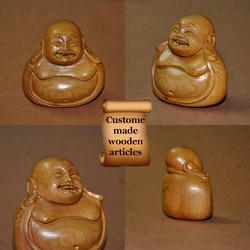 This wooden artifact is widely demanded by our customers due to its finishing & optimum quality. 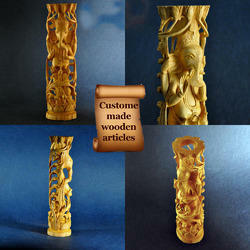 In addition, we are benefiting our customers by providing this wooden artifact in customization options. 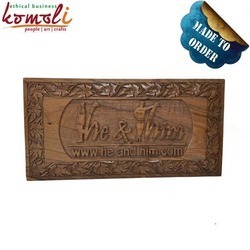 We are recognized amongst the well-known manufacturer, trader and supplier in this domain, engaged in offering Handcarved Walnut Wood Customized Plaque & Name Plate. 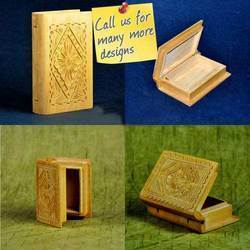 These products are designed as per the set market norms by our experts using high quality material and ultramodern techniques. 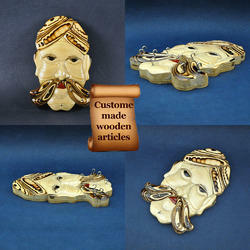 We offer our products in varied designs & finishes as per the need of customers. 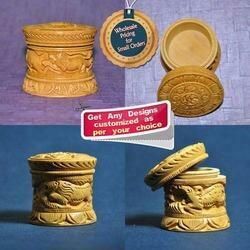 Our products are provided in quality packaging so as to maintain its defect free range at customer’s end. Packaging Details: Paper Wrapped in Poly Cover. 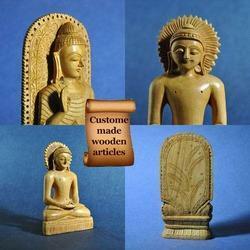 The Wooden Artifacts we offer is made by using quality wood which is sourced from reliable vendors of industry. 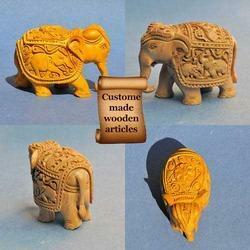 Wooden Artifacts are known for their termite free nature. 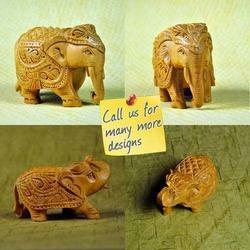 Besides, these Wooden Artifacts are available in different sizes and patterns that can be customized as per specific clients requirements.